Belize NMS: Tropical wave over area. Tropical wave moving away but showers will persist. 24-hour forecast: Cloudy with some showers or thunderstorms over most areas; but especially over central areas today and southern districts tonight. General Outlook: (Friday & Friday night) Cloudy becoming partly cloudy. Some showers and thunderstorms will affect mainly central and northern districts in the morning, then become generally isolated in the afternoon and night. Today E-NE 10-20 kts Moderate-Rough 4-6 ft SOME SHOWERS, THUNDERSTORMS OR PERIODS OF LIGHT RAIN. Tonight E 10-20 kts Moderate-Rough 4-6 ft SOME SHOWERS AND THUNDERSTORMS, ESPECIALLY SOUTH. Outlook E 10-20 kts Moderate 4-6 ft ISOLATED SHOWERS AND THUNDERSTORMS SOUTH. Two tropical waves are moving across the Caribbean Sea. Recent scatterometer data provide observations of fresh to strong winds across the east and central Caribbean while an altimeter pass indicates seas near to 11 ft across the Caribbean waters S of Haiti. Gentle to moderate winds are over the NW Caribbean, including the Yucatan Channel. Fresh to strong trades are expected across much of the area S of 18N and E of 83W through at least Fri. Winds will reach near gale force near the coast of Colombia, mainly at night through Fri night. 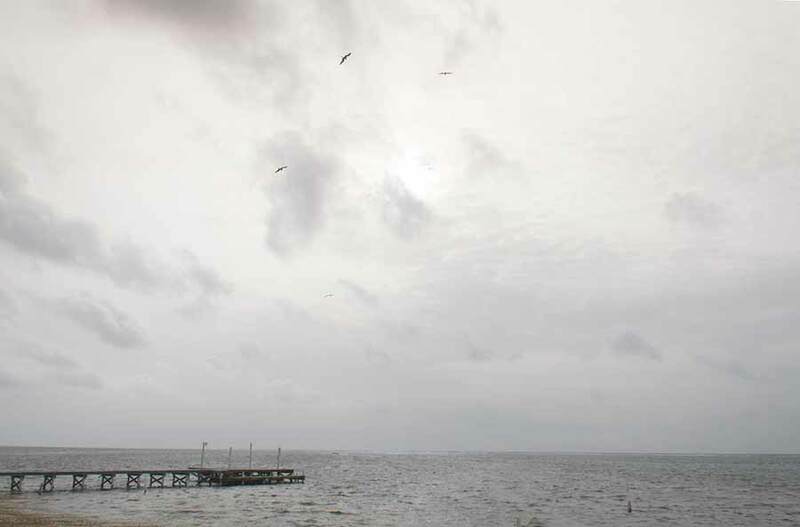 On Ambergris Caye this morning we have heavy overcast with showers. The sea is calm with a E-NE wind at 7 mph. The expected high is 88 f.
The Caribbean is full of rain cloud coming in from the ENE and there is high level from the SW clashing with the Caribbean winds causing a lot of rain in many parts of Belize, and there is more rain in the Caribbean that will probably come in later today. 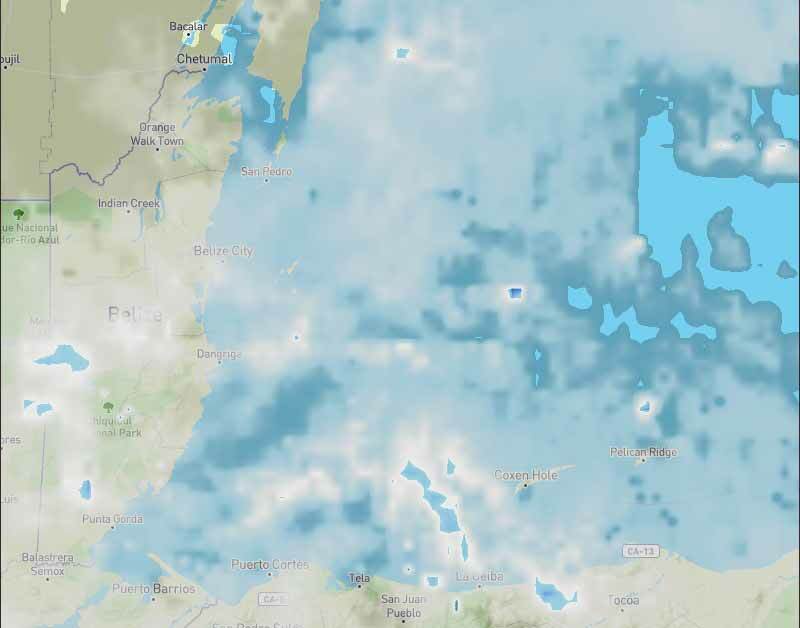 Looks like today will continue to be significant rain patches in any part of Belize.